A friend’s breakfast the other morning made me realise that the average person isn’t so aware of what, exactly, all the different types of coffee on a menu actually mean. What is a “Flat White”? What is an “Americano”? A “Mocha”? We all enjoyed the famous South African Wimpy advert with the tagline; “I love it when you talk foreign” – referring to Wimpy’s delicious new range of premium blend coffees. Here is a list of different types of coffee you can order when you go out, and what those names on the menu mean. 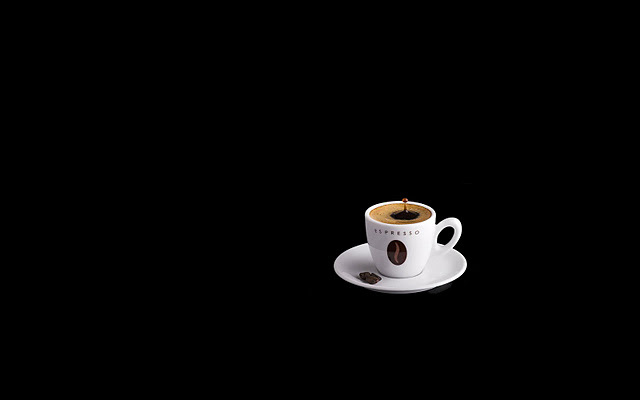 This you will often see on the menu as “Café Americano”. It’s made by adding about 125 ml of hot water to a shot or two of espresso. There’s actually a joke around the origin of this coffee – that it was created because Americans weren’t tough enough to drink straight up Italian espresso! 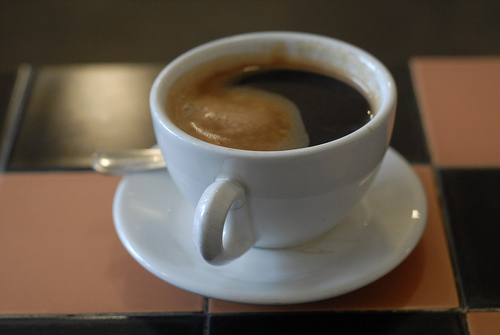 History has it that the “Americano” originated in Seattle, USA. Made from pre-brewed coffee beans, this is the kind where you add a heaped teaspoon to a mug and pour in boiling water. Voilà! You can find it in jars and packets in the form of granules (little crunchy pieces), or fine powder. Here in South Africa we can buy some quality instant coffees off the shelves of chain stores such as Pick ‘n Pay. Nescafé is my favourite. This is created by using ground roasted coffee beans through which boiling water is poured by using a paper or stainless steel filter. In India they use stainless steel filters but in other parts of the world disposable paper is used. 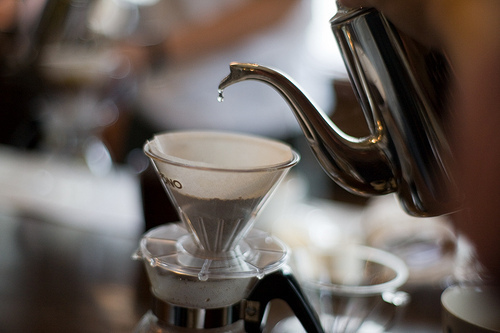 The idea is that the liquid is passed through the filter leaving only the fresh brew in the cup. The grounds stay trapped in the filter. We know it as “filter coffee” or “drip coffee” because water passes through the grounds solely by gravity and not under pressure or in longer-term contact. In India it’s known most commonly as “South Indian coffee” because the method of making it first began in India. Popular Indian lore says that on pilgrimage to Mecca in the 16th century, Baba Budan (a revered Muslim holy man) discovered for himself the wonders of coffee. In his zeal to share what he’d found with his fellows at home, he smuggled seven coffee beans out of the Yemeni port of Mocha. He wrapped them around his belly. On his return home, he settled himself on the slopes of the Chandragiri Hills in Kadur district Mysore State (present day Karnataka). This hill range was later named after him as the “Baba Budan Hills” and one can see his tomb even today by taking a short trip from Chikmagalur. Another interesting fact about filter coffee is that on July 8, 1908, the first paper coffee filter was created. It was created a by German housewife named Melitta Bentz. She wanted to remove the bitter taste caused by boiling loose grounds or using the typical method of linen to brew coffee. This is a French coffee drink. 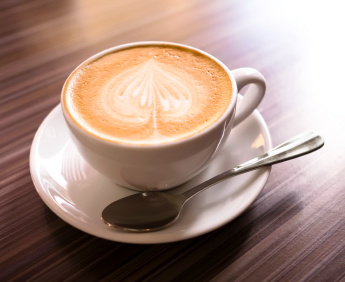 The French call it a “café au lait” but other names for it are: “caffè latte” in Italy, “café con leche” in Spain, “kawa biała” (“white coffee”) in Poland, “milchkaffee” in Germany, “grosser brauner” in Austria, “koffie verkeerd” in Netherlands and “café com leite” in Portugal. An easy way to tell the difference is that the latte is served in a tall glass, whereas a “café au lait” is served in a mug. This happens commonly in Europe – particularly in Scandinavia. 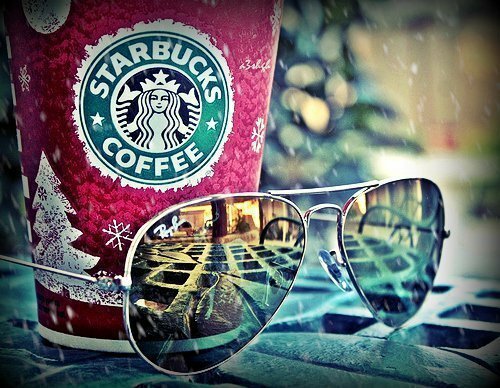 It’s a coffee beverage consisting of strong or bold coffee (sometimes espresso) mixed with a lot of hot milk. Apparently the French are the ones who introduced milk to coffee. 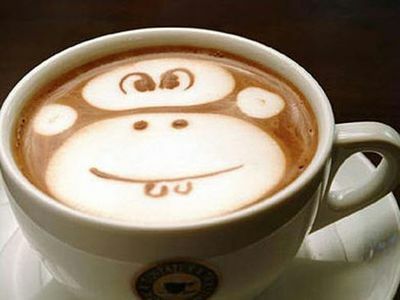 The previous cultures of Ethiopia and Arabia who enjoyed coffee were not milk drinkers, as were the French. A caffè latte (or café au lait) differs from another way of serving coffee… the “latte macchiato”. 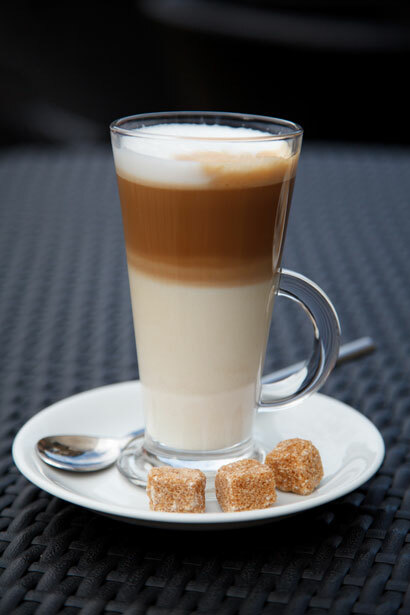 The caffè latte adds the espresso to the milk, rather than the reverse as in the case with a “latte macchiato”. This results in the caffè latte having a stronger coffee flavor, which is why it is said to be more popular. This is an espresso-based coffee, consisting mostly of coffee with a small amount of milk. It’s closer to a straight espresso than the others (s-t-r-o-n-g!) because it contains less milk than a cappuccino. In fact, it really doesn’t have a lot of milk at all, which would explain it’s name. 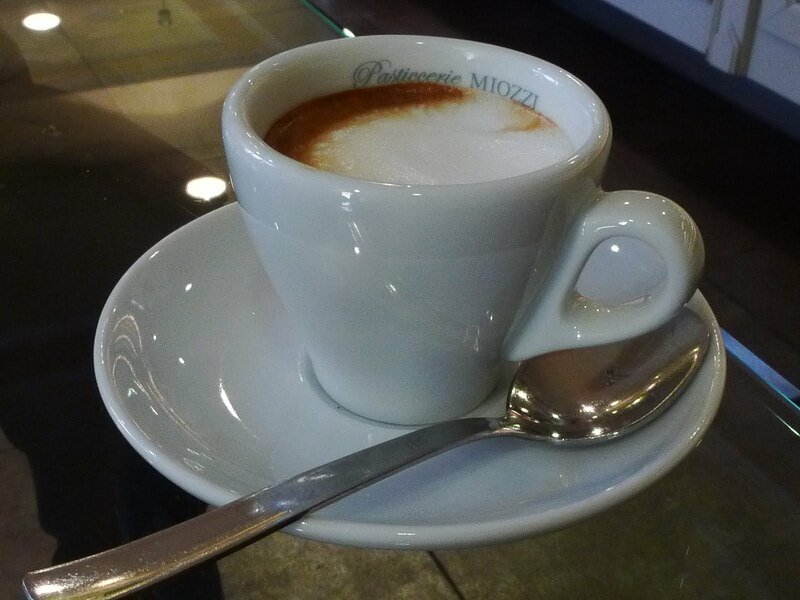 A “caffè macchiato” in Portuguese is named Café Pingado which means coffee with a drop…. the drop here being the ‘drop’ of milk. “Macchiato” in Italian means ‘marked’ or ‘stained’. In the case of a “Caffè Macchiato”, this means literally ‘espresso stained/marked with milk’. So it’s definitely a morning starter! 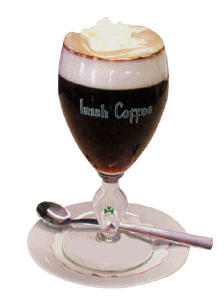 This is a variant of a caffè latte. The term “caffè mocha” as such is not used in Italy or France. Like a caffè latte, it’s based on espresso and hot milk, but it has added chocolate – typically in the form of sweet cocoa powder. Mochas can contain milk chocolate or dark chocolate. 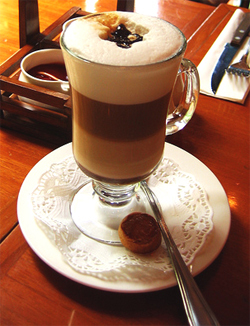 A “Café mocha” contains the well-known milk froth on top, although they are sometimes served with whipped cream instead. They are usually topped with a dusting of either cinnamon or cocoa powder. Marshmallows may also be added on top for flavor and decoration. A variant is the “white café mocha”, made with white chocolate instead of milk chocolate or dark chocolate. A small shot of very strong Italian coffee! It’s also known as a “short black”. Espresso was invented in 1903 by Luigi Bezzera, the owner of a manufacturing business. He wanted to find a way to brew coffee much faster and one day he added pressure to the coffee brewing process, reducing the brewing time. He went on to invent a machine termed the “Fast Coffee Machine”, which did just that. 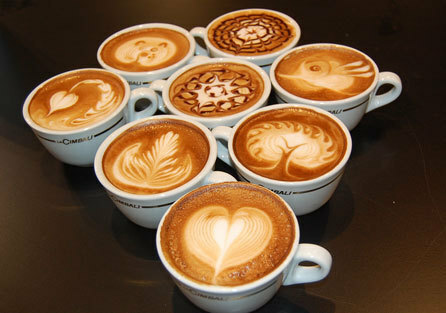 The coffees it produced were dubbed “espressos” – espresso meaning “fast” in Italian. Not only did his machine reduce brewing time, it made a better cup of coffee! The quick brewing time allowed the best qualities of the bean to be extracted, avoiding some of the unfavorable qualities associated with over-extraction. This is made just like a cappuccino but it has a very thin layer of foam. 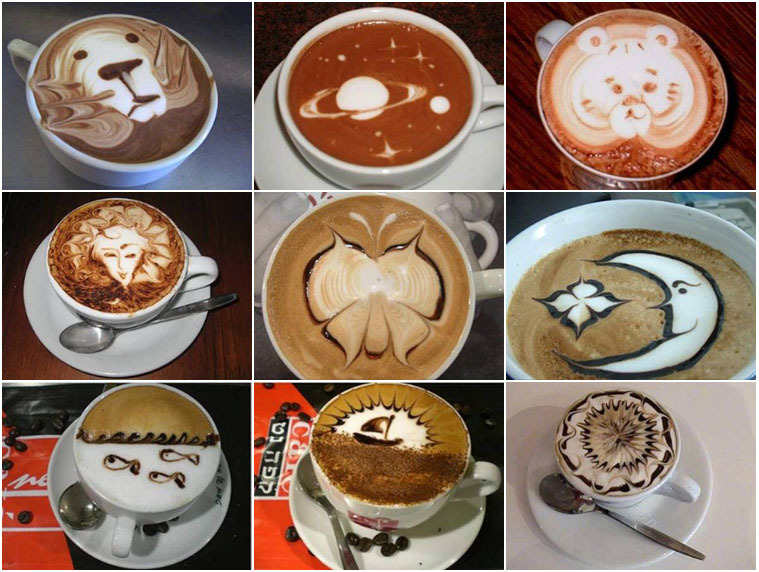 Made by pouring steamed milk from the bottom of a pitcher over a single or double shot of espresso. Flat white is one part espresso with two parts steamed milk, but no foam. It’s richer than a latte and creamier than a cappuccino. Here is an article written by The Independent in 2009 when the Flat White first started rearing it’s scrumptious head in coffee shops all over the country. http://www.independent.co.uk/life-style/food-and-drink/news/time-to-wake-up-and-smell-the-flat-white-1776213.html. 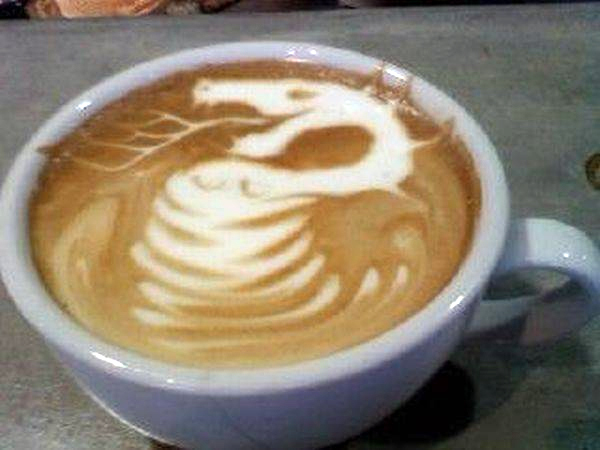 It was UK’s fastest growing new coffee brew at that time and provided the “perfect antidote to the latte”. 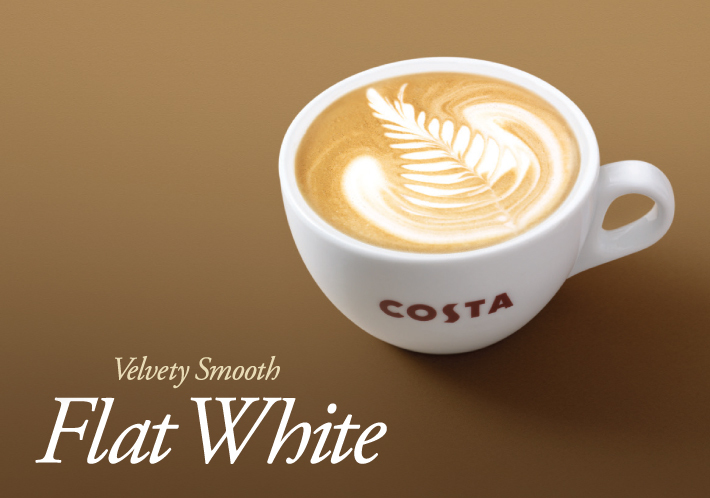 The article also mentions that flat white sales grew more than 10 times as fast as the rest of the market at that time and thus brought with it a new identity to coffee in the UK. Hot coffee with Irish whiskey and brown sugar, topped with thick cream. This is a shot of Espresso in a tall glass with cold milk, crushed ice and ice-cream. Yum! 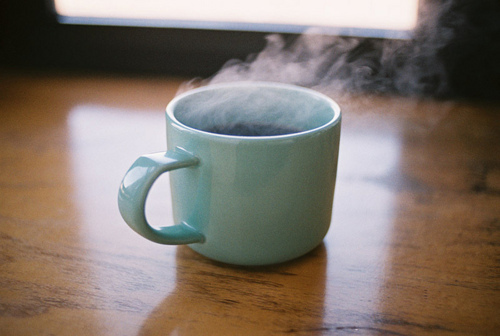 Black coffee is coffee with no milk. White coffee is coffee with milk. Baby-cino is a smaller cappuccino. The United States buys the most coffee; Germany comes in a close second. People in Sweden drink the most coffee for each person. In Canada, the United States and Europe, some restaurants that sell mainly coffee are referred to as “cafés” or “coffeehouses”. Awesome article! Love reading this blog. forgot to mention the mother of all coffees, Turkish coffee….